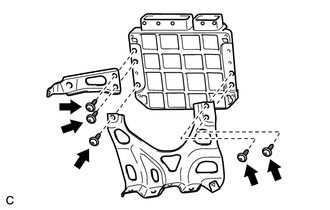 (a) Install the bracket to the ECM with the 5 screws. 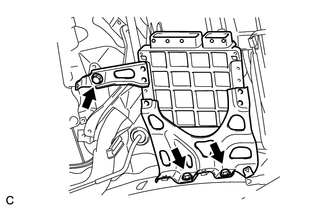 (b) Install the ECM with the 3 bolts. 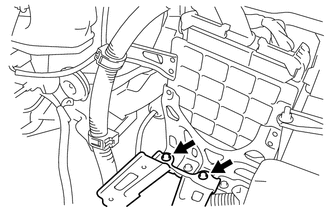 (c) Connect the 2 ECM connectors and lower the 2 levers. When connecting the connector, make sure that dirt, water or other foreign matter does not become stuck between the connector and other part. 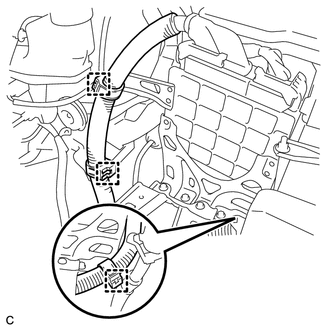 (d) Install the 3 wire harness clamps. 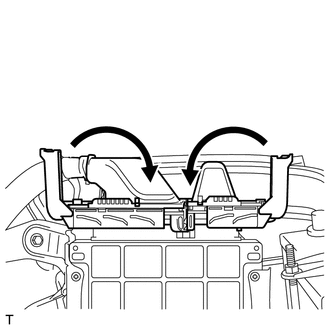 (a) Install the air cleaner bracket with the 2 bolts. (a) The Vehicle Identification Number (VIN) must be input into a replacement ECM (See page ).